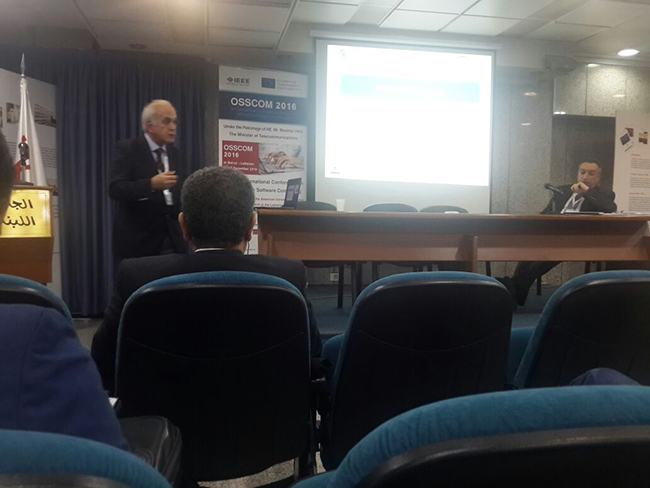 The Lebanon SoftShore Cluster (LSS) participated in the 2nd International Conference on Open Source Software Computing (OSSCOM2016) that took place in Beirut at the Lebanese University-Mathaf, December 3-2016. OSSCOM is an international forum for experts, professionals, researchers, and students to promote, share, and discuss Open-Source Software (OSS), resources, applications, services, tools and products. 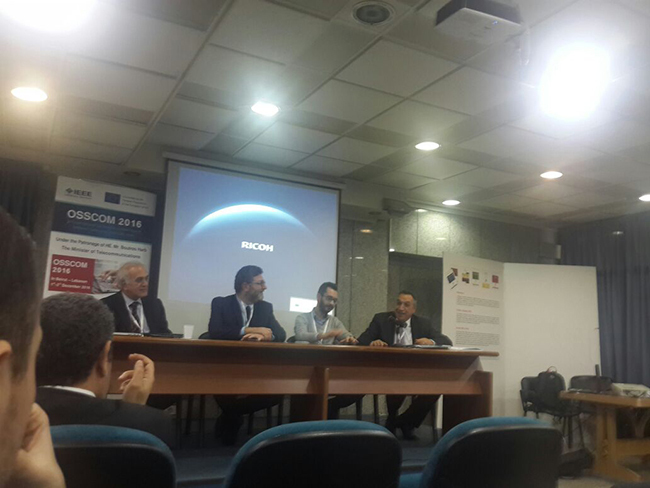 During the session of Openness for Innovation and Business Mr. Michel Chammas, (CEO Bsynchro) and LSS Cluster member tackled the issue of how insurtech is disrupting the Industry, and Mr.Fadi Fayad senior business advisor at ELCIM - Industrial Research Institute enlightened how to connect companies with today’s Innovation. The event gathered speakers and delegates from private and public organizations representing different categories of stakeholders, universities, and enterprises.